Overnight the New York based scuba diving show - Beneath The Sea - has announced their 2019 award recipients. Jonathan Bird in a multi Emmy Award-winning underwater cinematographer, author, a member of the Ocean Artist Society, and president of the non-profit organisation Oceanic Research Group. Bird fell in love with the ocean in the 1980s when he learned to dive in college. (He went on to study ocean and electrical engineering). From 1997 - 2002 Bird was an adjunct professor in the broadcasting department at Massachusetts Communications College, in Boston, Massachusetts. In 2008 he hosted and produced the first episode of Jonathan Bird's Blue World. This family-friendly underwater science / adventure television programme was liked. In fact the pilot episode (Blue Shark Adventure, Underwater Cavern, Giants of the Depths) won a CINE Golden Eagle Award. According to IMDB, there are five seasons, and 39 episodes. The series airs on public television stations in the US and you can find it on YouTube. It is watched around the world. It all started with a simple desire at the start of this century. Margo Peyton wanted to include her children in her dive travel adventures. After sharing her wish with Carolyn Pascal, the then publisher of 'Sport Diver' Magazine, 'Kids Sea Camp' was launched in Curacao in 2001 with just seven families. 18 years on more than 7,000 children have safely participated in a Kids Sea Camp family dive adventure in 13 different countries. What is impressive is that there has been no dive accidents and 5,500 kids have become certified divers. Children with special needs are not forgotten. Kids Sea Camp now caters for handicapped kids and adults, deaf kids and adults, and kids with autism, and ADHD. Peyton trains the instructors, and learns from them as well. "My biggest challenge is implementing my mandates and standards in the resorts we work with - not because the resorts are not safe or don't want to be safer, but simply because of resource limitations." Peyton co-founded the Ocean Wishes Foundation with her husband, to promote education and foster the protection and preservation of our marine environments. 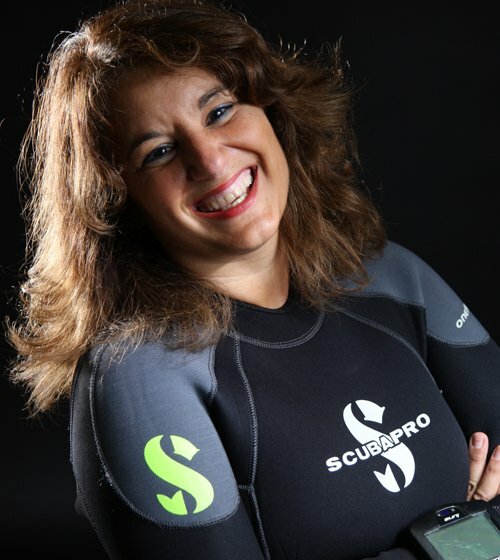 Captain Kathy Weydig became a scuba instructor in 1989 and is an active Instructor Trainer with SDI / TDI. In addition she holds an instructor rating with the National Association of Underwater Instructors. Originally she served as the Deputy Harbour Master in Bridgeport, Connecticut. Since 2005 she has been a Boating Safety Officer for the San Bernardino Sheriff's Department. 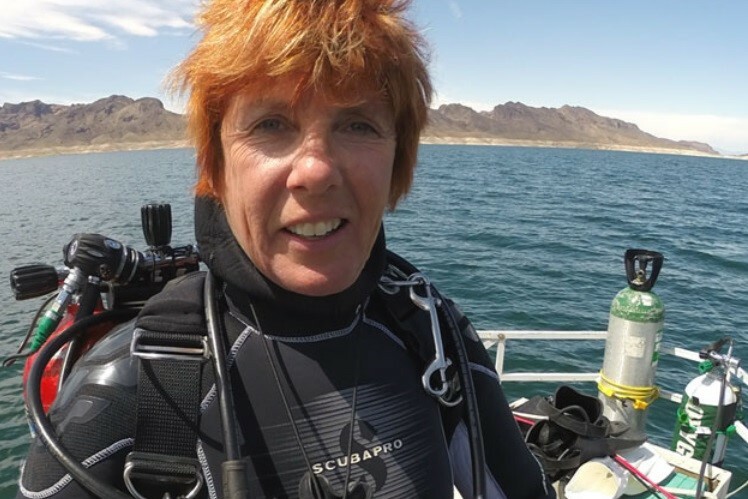 She has therefore used her 30 years of boat driving experience and scuba training to educate the next generation of divers in Lake Havasu, Arizona working with the Boy Scouts of America. In the 1970’s Lake Havasu benefitted from a Sea Scouts group. At some point it was dissolved. In December 2011 Weydig was instrumental in rescurecting the group, setting up the co-ed Sea Scout Ship 450. (A Sea Scout unit is called a ‘ship’). The Sea Scout programme covers important leadership and life skills. Also included in a healthy serving of fun activities, where young people can share interests such as scuba diving and learn the principles of water safety. This helps encourage a lifetime love of diving in the young and adventurous scouts, and promotes conservation of the seas, whilst the youngsters gain valuable scuba training and earn their certification. As a result of Weydig's work, Lake Havasu Sea Scouts have taken an active roll in their community, conducting underwater cleanups. Weydig is also an adventurous diver and she has explored a number of notable US shipwrecks including the USS Wilkes Barre. She was an expedition leader on the USS Monitor and carried Explorer Flag #155 on the 2004 exped. Kathy Weydig is a permit holder for the B-29 bomber in Lake Mead. In 1998 Weydig dived the luxury Italian liner SS Andrea Doria. This is a ‘bucket list technical wreck dive’, and one that should not be approached lightly. In 2016 a skilled, highly experienced, temperate water and CCR diver died whilst diving the wreck. The Doria lies in 62 - 77 mt / 203 - 252 ft in the Atlantic Ocean in 3 - 8°C / 38 - 48°F water. She can be swept by current, and visibility varies from 6 mt / 10 ft to 30 mt / 100 ft. In other words Doria diving is cold and dark and conducted in brisk moving water. To put this dive into some kind of context gear wise, open circuit technical diving was the norm in 1998. 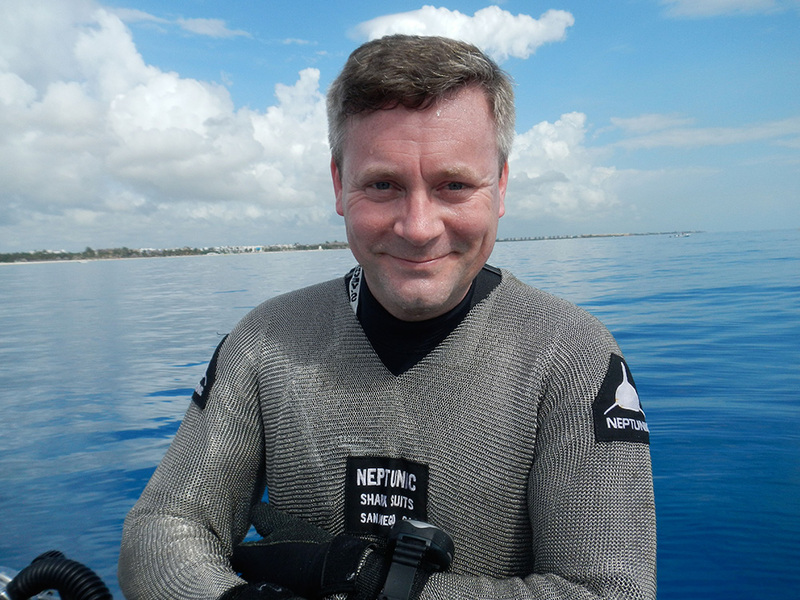 Nick Hope lead an expedition to HMHS Britannic in the same year, and there was one rebreather diver on the trip. (John Chatterton). It was in fact the first time that a rebreather had been dived on Britannic. In 1999 Kathy Weydig co-founded the Women Diver's Hall of Fame and was instrumental in establishing the scholarship programme. Today she is Chairman of the DAN Board, having served on the Board of Directors since 2004.